JONESBORO, Ark. 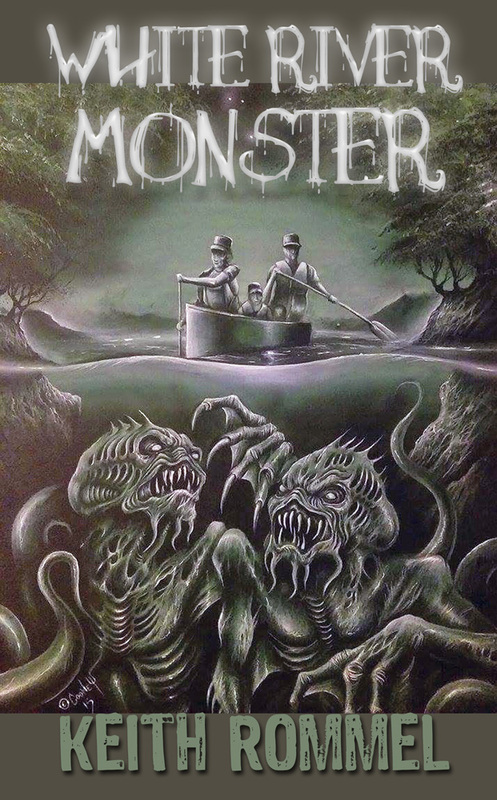 — Sunbury Press has released White River Monster, Keith Rommel’s novel about the mysterious cryptozoological creature in Arkansas. The White River Monster has eluded people for over a century. Manhunts were brought to a fever pitch in Newport, Arkansas, where people were anxious to prove the existence of the river monster. But, it went unfounded. For years, sightings were reported up and down the White River, but no physical evidence ever came forth. Soon the monster faded into obscurity and was dismissed as a legend never to be solved … that is until now! Thriller writer Keith Rommel brings this cryptozoological mystery to life — in a classic tale of drippy, slimy, and deadly horror! The taxi rumbled down a dirt road and jostled David Alan around in the back seat. He looked out the side window and for the past mile or two all he could see was a forest on either side of the vehicle and thick vegetation that made it seem impassible. He was just about to question his driver he knew as Johnny where the river was when he said, “If you look out the left side, you’re going to see the river any second,” Johnny said. The man was so big, his body wobbled instead of bounced and the steering wheel rubbed his belly. The man with the thick southern accent had been nice enough during the long trip through winding back roads that had small hills and steep dips to see the White River. Sure enough, when he looked, he could see the fast moving river and white caps. Excitement made his chest flutter. David stared in awe over the river and as fast as it came into sight, it disappeared behind another cluster of trees. He leaned back and held onto a smile. He was finally here. After enduring over 1,200 miles and 19 hours to get to the White River in Arkansas, he was aching to see what he travelled all this way for. “Are you sure you want to do this?” Johnny asked. “I suggest turning around,” Johnny said and stared at David in the rearview mirror. David noticed him. David looked around and could only see forest. He kicked open the back door and could hear the sounds of the rapids. The trunk popped open and David retrieved his backpack and put it on. He slammed down the trunk to make sure it closed and he went to the driver’s side door. Johnny rolled down the window. Keith is the co screenplay writer for The Cursed Man movie and is the screenwriter and producer of The Lurking Man movie. JONESBORO, Ark. 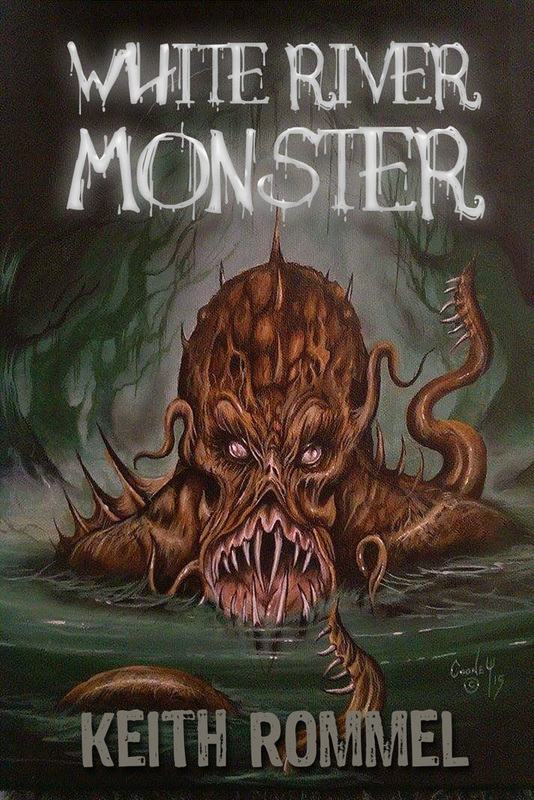 — Sunbury Press has released White River Monster, Keith Rommel’s novella about the mysterious cryptozoological creature in Arkansas.